Interested in presenting a lecture or reading? The elegant atmosphere of the Englert Theatre is the perfect setting for talks on a variety of topics, and the space can accommodate both small and large audiences comfortably and engagingly. 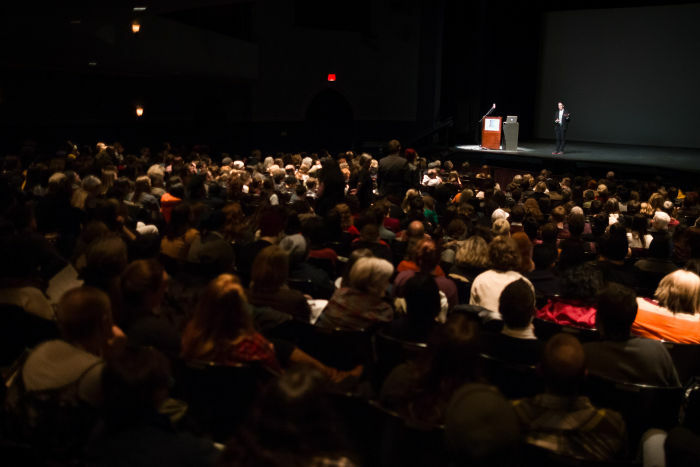 The Englert has hosted lectures and readings by John Waters, Margaret Atwood, Junot Diaz, Matthew Israel, Lena Dunham and other prominent voices in the arts and culture, social, and technological spheres. For more information, availability, and pricing, please contact us. If you are interested in hosting a fundraiser at The Englert, please contact Events Director, Jessica Egli.